The G-Form brand recently released the new G-Form iPhone case for iPhone 6/6s and iPhone 6/6s Plus. So today we will be reviewing this new case and see what it can offer. G-Form is a popular brand for various sports products and they have a good range of technology gears as well. If you have been looking at this brand before for an iPhone case, they have released an earlier iPhone 6 and 6 Plus case called G-Form Xtreme Titanium. And just like what its name says, it’s made of a titanium alloy that is 3x times lighter, yet stronger than steel. The only problem with this case is that it’s quite expensive. It costs $299 which is more than one-third of the price of the iPhone 6. The new G-Form iPhone case, on the other hand, uses the same protection technology without the titanium component so it’s many times cheaper and it’s perfect for everyone who wants the level of drop protection of the G-Form Xtreme Titanium at a cheaper price. 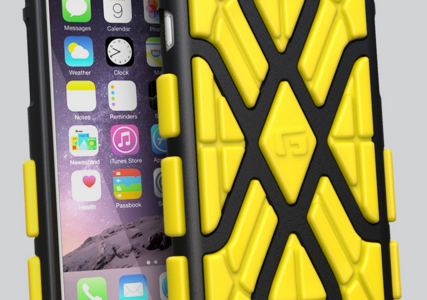 The most striking feature of the G-Form iPhone case is its super awesome drop protection. They do their own internal testing for drops and their test methods are quite extreme. How extreme really? They did two insane scenarios. Everything was monitored by a video camera tied to the balloon. When the balloon exploded after it reached its peak in the atmosphere, the iPhone mercilessly drops to the ground. And there it goes, no harm, no damage. In scenario 2, they used six (6) iPhones with the G-Form case and simulated an ice hockey game. They used each iPhone as a puck and each iPhone was hit using an ice hockey stick from an area several meters away to the opponent’s goal. And again, no harm and no damage done to the iPhone. G-Form explains that they have made their own technology called Rate-dependent Protection Technology. Basically, what it does is it makes the case stiff at the moment of impact. And that reaction absorbs 90% of the impact energy. And immediately after the impact, the case returns to a normal flexible rubber. It’s weird, right? But it’s great, like the case that’s protecting your phone is alive and reacts to every impact. What else can I say? This is probably the best case for drop protection out there. The level of drop protection definitely exceeds the Otterbox Defender Series but we can’t directly compare their prices because the Otterbox Defender Series provides other kinds of protection (i.e. dust). So the best comparison would be with the Otterbox Symmetry Series because both cases don’t provide any dust protection. The retail price of the Symmetry Series is $49.99 for iPhone 6 Plus which is the same as the G-Form case. But G-Form has super insane drop protection compared to the Symmetry Series. So you get a very huge difference in drop protection at the same price! It’s super slim and pocket-friendly, considering most cases with a high level of drop protection are very bulky. I also like the texture and sporty looks, it’s not boring because the little bumps are quite stylish. There are some people whose primary reason for buying the iPhone is because of its color and design. I am actually one of them. 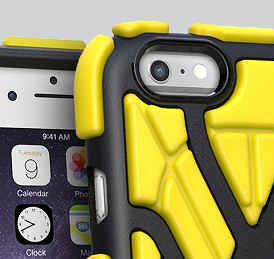 What is cool about this case is that you can simply slip it on and off the iPhone any time you want, unlike other rugged cases that are difficult to install and remove. The other feature of the case that I like is the ridge at the front which provides additional protection to the display of the iPhone when dropped facing down. If you want full scratch protection, you can just buy a separate tempered glass screen protector. So again, compared with the Otterbox Symmetry Series, it’s the same price but the G-Form is many miles ahead when it comes to drop protection. The advantage of the Otterbox Symmetry Series is its clear design that shows off the iPhone’s color and design. They are both super slim and very easy to install. 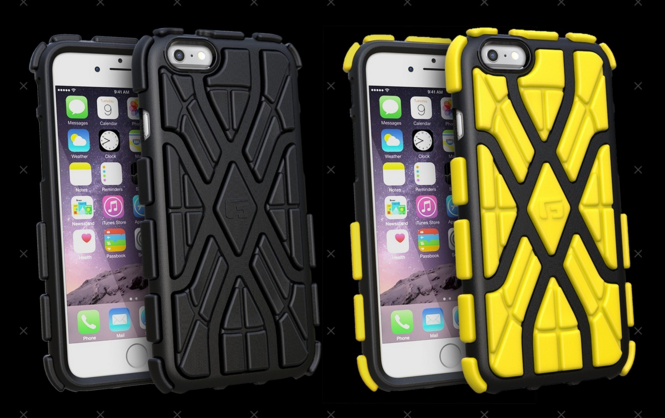 The Otterbox Symmetry Series has an elegant finish while the G-Form has a sporty design. Like most slim cases that are not dust-tight, the iPhone buttons and ports can be easily accessed. Compared to the Incipio Series Level 5, they are also at the same price. The drop protection of G-Form is still far ahead. They both cover the iPhone’s design. The only advantage of this Incipio Case is the dust protection. G-Form is slimmer than the Incipio Series level 5. The design of Incipio cases is like the Otterbox which is more simple than G-Form. So it’s actually just a matter of preference. If you are looking for water protection, the G-Form cannot provide that. You may try Lifeproof, Griffin, or Amzer Crusta, depending on the level of water protection you need. The G-Form case for iPhone is a super awesome case. It probably beats the best cases of other brands when it comes to drop protection. It’s perfect for people who’s always into sports or always out for adventure. And it’s also ultra-slim and light so even if you are an indoor type of person, it’s still perfect. It has a sporty and cool design that you will surely like. It’s easy to install and pocket-friendly so it’s perfect if you don’t like bulky cases but still want that rugged protection. * The criteria used to compute the overall score of this case is the same criteria used for the review of the other cases in this website.